What Additives part or product are you looking for? Cleans The Air Intake System. Restores Air Flow Towards The Combustion Chamber. Dissolves Gum, Lacquer, Tar, Carbon and Deposits. Cleans EGR (Exhaust Gas Re-Circulation) System. Please Refer to Instructions Carefully Before Use. Add 325ml Contents To Engine Oil When The Engine Is Warm. One Bottle Treats 3 To 6 Litres Of Engine Oil. Add One Bottle of 325ml To a Minimum Of 40 Litres Of Diesel. For Best result, Use In Every 3rd tank Of Fuel. Ensure Surfaces Are Clean Before Use. Immediately After Use, Turn Can Upside Down And Spray Briefly To Clear the Nozzle. Add One Bottle Of 325 ml To a Minimum Of 20 Litres Of Diesel. Add Entire Contents To A Full Tank of Diesel. For Best Results, Use Every Three Months Or 3000 Miles/4500 Kms. First remove excessive dust/dirt etc. with a brush or cloth. In case of asbestos dust, remove it as prescribed by the local legislation concerning asbestos. Take the necessary safety precautions during the asbestos removal. Apply by means of aerosol, brush, cloth or atomiser. Apply liberally on parts, allow to run off. Let the product evaporate or wipe off with a clean cloth. Add Entire Contents To A Full Tank of Petrol. Add One Bottle Of 325 ml To The Petrol Fuel Tank With A Minimum Of 20 Litres. For Best Result Use Every 3rd Tank Filling. Warm up the engine with heater control in HOT position. Shake bottle well and add contents to the cooling system via the expansion tank if part of the system circuit (2 hoses: out and return) or directly into the radiator if a single hose overflow tank is fitted. Top up the system with coolant if required. Run engine for approximately 5 minutes to circulate and stop leaks. Contents treat a cooling system from 5 to 12 litres. 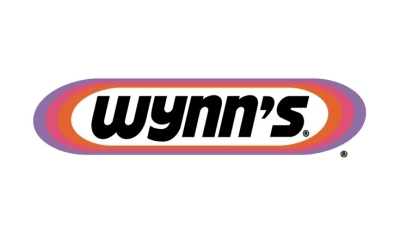 If the coolant is dirty, flush system with Wynn’s Radiator Flush and refill with new coolant before treatment with Radiator Stop Leak.